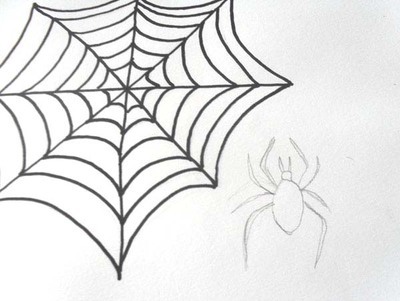 Draw a spider and it's web, step by step for a Halloween activity. 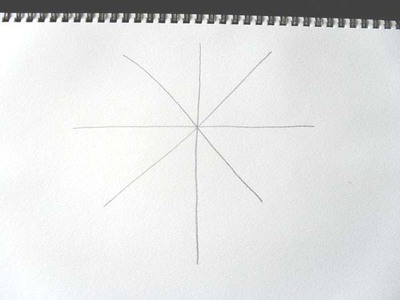 Draw a large 't' in the middle of your paper. 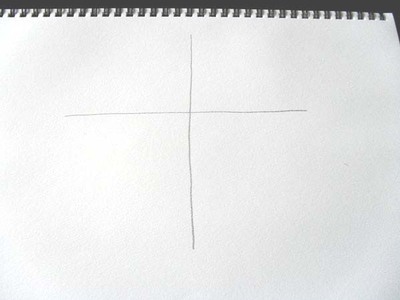 Draw a large cross on top of the 't' as shown. Join the ends of the lines with curved lines. 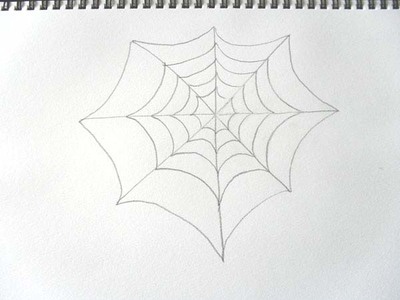 You have the basic outline of a spider web. 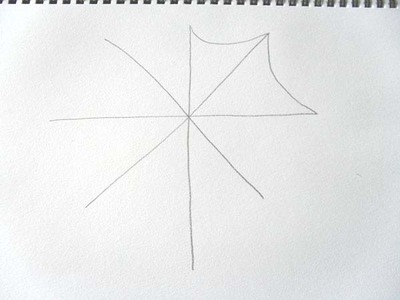 Make curved lines underneath each other in one of the closed spaces. 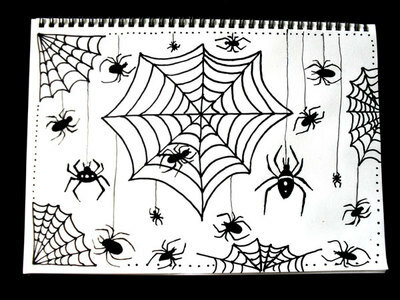 This will be your guide for all of the other lines in the spider web. 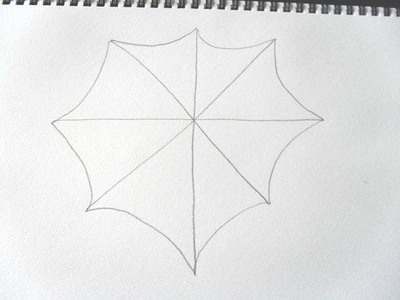 Make curved lines in all of the closed spaces, joining them together as shown. Go over the lines with black marker. Pencil in a spider as shown. 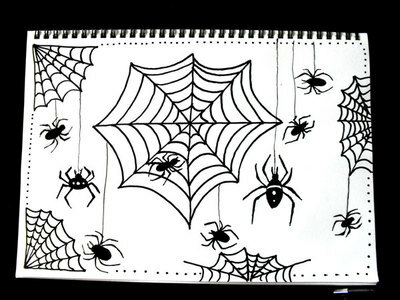 Ink the spider with black marker. 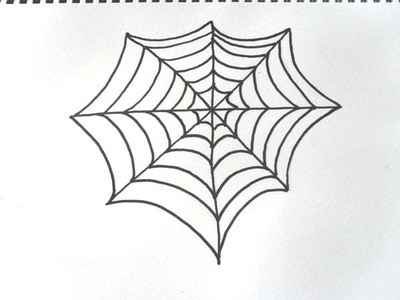 Leave some white space for a pattern on the spider's back. 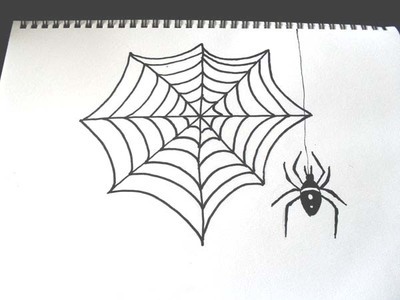 Add a line so the spider looks as though it is hanging from the top of the page. 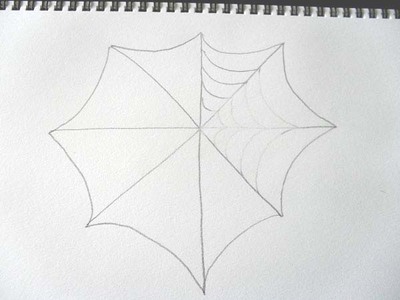 Add more webs along the sides of the page and in the corners. 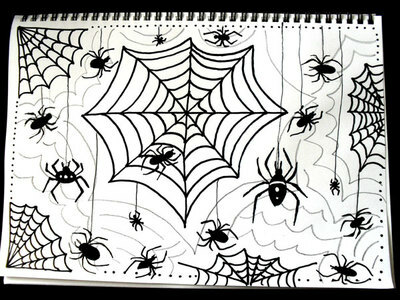 Grab your pencil and make lines in the leftover space - loosely following the outer spider web lines.